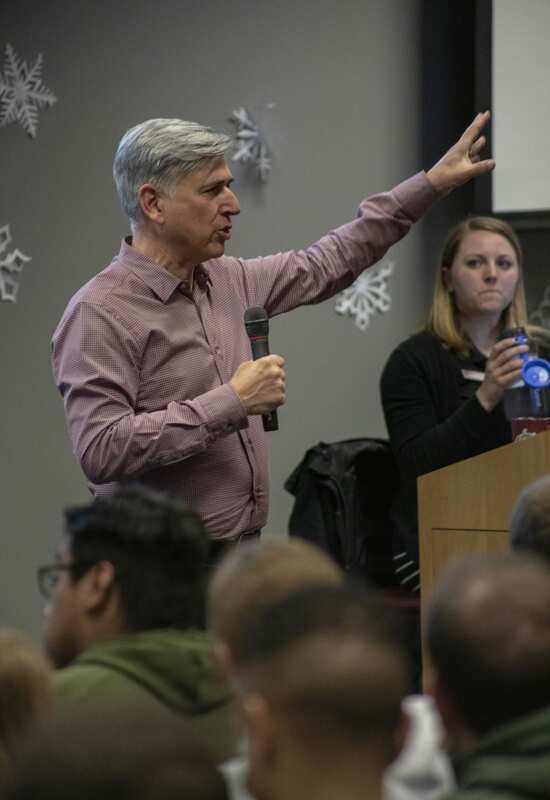 VANCOUVER — The VanCougs welcomed close to 200 new students to the Washington State University Vancouver, (WSUV), campus at the spring semester ROAR orientation. Freshmen just out of high school, transfers from Clark College and elsewhere, parents returning to college to finish their degrees, and current students from all manner of disciplines gathered in the Firstenburg Student Commons to teach and learn about the university, now their home. A new life sciences building for the campus is currently before the legislature, as well as the prospective hope of more extra curricular spaces and one day, residence halls, Netzhammer said. Portions of student fees are also being amassed to build a new student union building; creating yet another location for the rising number of students to study and build community, Netzhammer said. All these goals factor into the way ROAR orientations are designed each year. 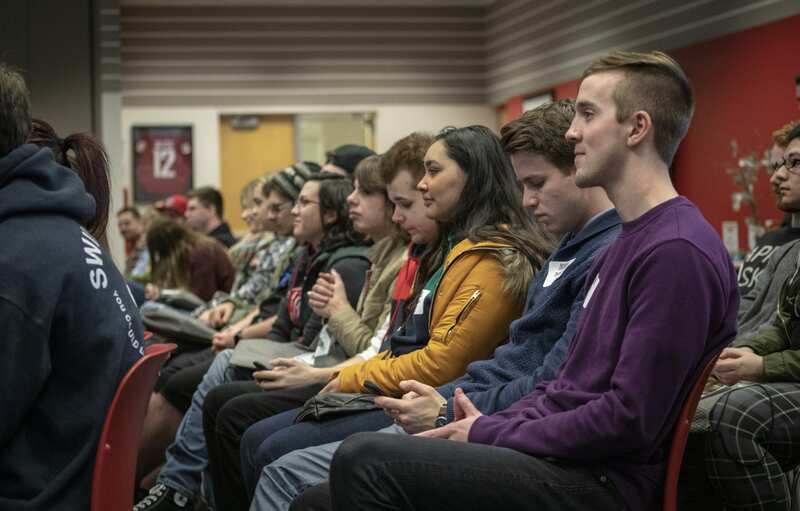 Incoming students received information and guidance on starting their journey at WSUV, planning for success, passing the institution’s writing portfolio process, and managing personal finances in the months and years to come. Current WSUV students working as student ambassadors, lead teams of incoming students through rotations around the sleepy campus, soon to be bustling with well over 3,000 people. Each rotation explains a different element of the school’s resources, and how readily available said resources are. 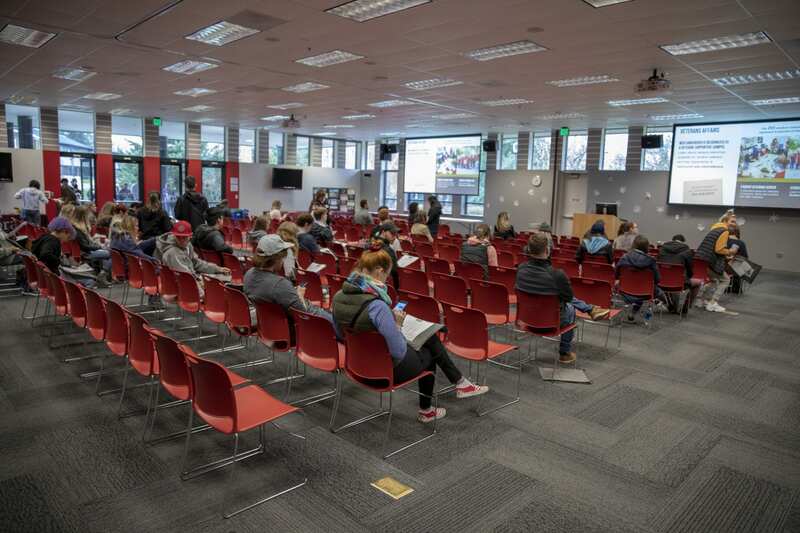 Topics like campus involvement in student government and volunteer positions, getting to know the teaching community and explaining the technology and online portals now in use by WSUV. Chancellor Netzhammer noted that the new semester is also an opportunity for constructive community engagement.